A number of you have commented or messaged me, asking for comment on the state of modern astrology and why astrologers are, as a group, so damn poor. That is like asking me to stick my hand in a hornet nest, but I figure I am still too young to resist and too old to be afraid of repercussions. Just keep in mind that, like perhaps many of you, I have devoted my life to astrology and given it my all every step of the way. And it greaves me that astrology today is not light years ahead of where it was when I started out. Let's put the computer part of it aside. Everyone knows that I helped to bring computerized astrology into the 20th Century and now into the 21st Century. Even with advances in technology, as far as I can tell astrology has not moved up the social ladder much (if any) since I began studying it some fifty years ago. We still seem stuck in an income bracket that we just can't seem to get out of. I have asked myself many times why is this so? Way back then, true to our American habit of pointing fingers, many astrologers blamed astrology's lack of social acceptance on anything but themselves. This is probably just human nature. One reason floated was that Christians, especially the evangelical kind, just don't like astrology. They claim it is the devil's workshop, etc. Astrologers also said that society would not take them seriously, but liked to treat astrology as a game – mere entertainment. And let's not forget, heaven forbid, that we were looked on as "fortune tellers," which we pretty-much were and even claimed to be, and on it goes. And we were also sometimes likened to gypsies, charlatans, con artists, and so forth. That is part of the outward view. Inwardly it gets a little more painful because we have no one to blame but ourselves. Here goes. Misery loves company, and perhaps our minority status as astrologers caused us to cling together, but with a twist. In my experience, astrologers have learned to love one another as people, but not so much as "astrologers." There was just not enough income and status to go around, so astrologers, despite mutual admiration, remain very competitive with one another, again: despite our collegiality. And now, stepping off the deep end, dare I mention the Tower of Babel syndrome? Given an ear, I have yet to meet an astrologer who did not, with minimum encouragement, launch into a spiel about some research they were doing that proved to them that astrology worked, usually invoking Hitler's chart or the Chart of the United States (or both) in the process. Hearing this once or twice is fine, but hundreds of times? No thank you. This only shows our own doubt. These thinly-disguised rants can go on and on, with the astrologer pulling up chart after chart, as if anyone, even another astrologer, could absorb or understand the wealth of information being poured out without taking notes or having it written out for them. IMO, this particular Babel-virus is pretty-much endemic and has infected the whole profession. And there is a reason. It seems that astrologers differ, agree to differ, and find their differences in the techniques they use. I sincerely believe that astrology is an oracle, and like any oracle, is concerned only with, as the psychics say, getting on your contacts, not how you do it. Or, as the saying goes, people are not concerned with the razor (astrology technique), but only with the shave they get (information about themselves). As one example, my dear friend (and great humanitarian) Charles Harvey, president of the Astrological Association of Great Britain once explained to me that it took him on average six hours of preparation to prepare for a chart reading, while, as for me, I am just good-to-go right on the spot. To repeat, there is no accounting for taste and the techniques that any of us use to get "on our contacts." "Everyone to their own taste," the old woman said as she kissed her cow. One result of this is that there seems to be an unwritten law dictating that every astrologer is entitled to their own crazy views and heaven forbid that another astrologer should disturb their rant. As astrologers, we politely listen to what we have no intention whatsoever of following up on. Not ever! And if they don't have their own personal rant, they quote from books they have read or someone else's research that proves their point, whatever that is. And we astrologers are so tolerant with one another, just as we might be with someone who is obviously mentally disturbed. We patiently nod our heads and try not to look at our watch. All of this only begs the question. And there is another strain of astrologers who are totally hung up with proving that astrology is a hard science and not an art, craft, or soft-science. Instead of talking to other astrologers who might actually listen, they single out the most science-oriented person in the room and deluge them with arguments. Of course this doesn't work or at least hasn't so far. Nothing could be more futile or boring. And then there is the question of purity. My closest astrological friend was Charles A. Jayne, Jr., a great astrologer and wonderful human being. He was an expert in using solar arcs in a particular way. When I introduced him to a brilliant younger astrologer who shared his interest, after a brief conversation Jayne refused to talk with this gentleman again. Why? Because somewhere, far down the line of all that these two agreed on, there was one tiny snag, where they did not totally agree. Even though they agreed on 99% of everything, this one tiny disagreement was enough for Jayne to throw out both the baby and bathwater. This amazed me. And there is more. Astrology, despite many attempts, has no certification program like most every other profession. With astrology it really is "anything goes," the right of free speech carried to absurdity. It reminds me of the image of a mass of people trying to climb out of the center of a deep lake, one upon the other, while they all sink. I could go on. I hope I am not sounding too negative, because I love astrology, but you did ask for my view. Having diagnosed modern astrology a little here and touched on what I believe are some symptoms we should act on what is the prognosis and, more important, is there a cure? There are many suggestions I could make, and perhaps I will do so in a further blog. Here I will offer one. What follows now is nothing more than my own personal viewpoint, one honed from decades of working in this field and with a great many astrologers in various ways. Please take it with a grain of salt, but true to your astrological muse, do consider it. And you may label this as my personal astrological rant, if you must. Here in the 21st Century we are some 500 years out from what I believe is one of the causes of astrology's current problem, which itself is probably only a symptom of yet a deeper cause at the time. 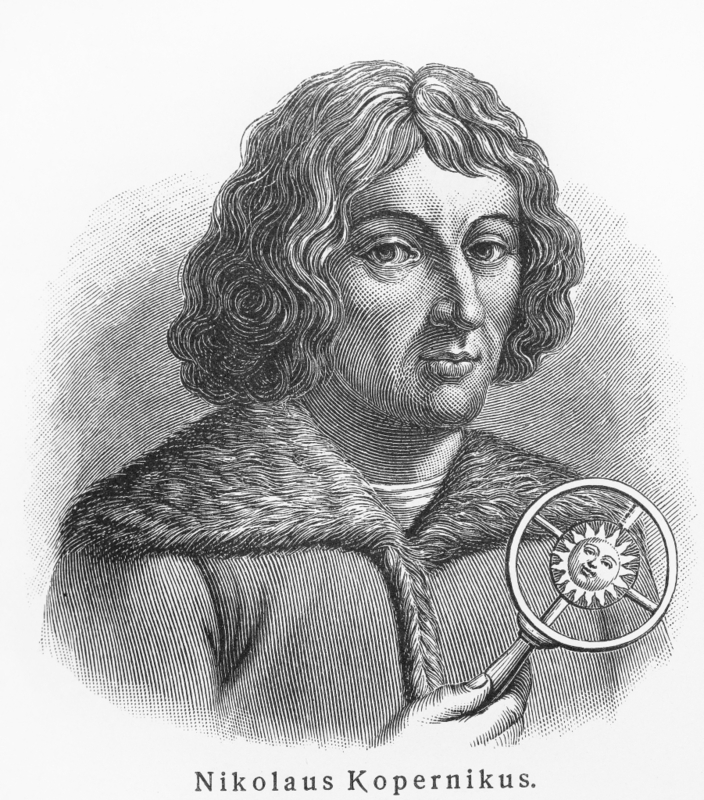 I am talking about the astronomer/astrologer Copernicus and the fact that he pointed out to the world that everything (for example, the Sun) does not happen to revolve around us personally, but that actually our Earth revolves around the Sun. Does this not say something about our ego? As history shows, the Copernican heliocentric theory caused the group of astronomer/astrologers to split into two separate groups. On the one hand there were the astronomers who accepted both the new heliocentric and the traditional geocentric chart and moved on to put a man on the Moon, rise (along with botany) to be one of the two oldest academic professions, and (very important too) manage to make a decent living. On the other hand, those astronomer/astrologers who rejected (did not learn to use) the new heliocentric view of the solar system, but clung to only the traditional geocentric chart, brought astrology to where it is today, socially considered not-a-right-livelihood. This might be an over generalization, but it is roughly accurate. I have written about this split for forty years, and received about zero support among astrologers as to taking heliocentrics seriously. Yes, a few astrologers took to helio charts, but treated them for the most part just like geo charts. They didn't get it. They didn't look deeply. And a few more may have gotten a glimpse and gave helio lip service, but never built their core techniques around heliocentrics, and so on. It is my sincere and confirmed belief that when astrologers chose not to incorporate the fact that everything does not revolve around us (the Earth), astrology missed an essential psychological empowerment of great importance. "We don't live on the Sun," is the chant I have heard from my fellow astrologers all these years. My answer has always been that the traditional geocentric natal chart is but a snapshot of the sun-centered solar system from Earth's perspective embedded deep within that system. Modern astrologers are obsessed with Earth's view of the solar system, and unwilling to inquire just what is it that we are taking a snapshot of? Of course the traditional geocentric natal chart is a snapshot of the solar system that embraces them like a mother does a child, at the center of which sits the Sun. Wouldn't we perhaps like to study the chart of the entire solar system that our Earth-centered chart is but a snapshot of? Apparently not, at least not yet. In summary, modern-day astronomers were empowered by absorbing the Sun-centered chart some 500 years ago, while astrologers never bothered to receive that empowerment. One of the earmarks of that empowerment is the transmigration (identification) of our self-center from just the Earth to also including a more encompassing perspective, that of the great spiritual source of all our life and warmth, the Sun. At heart, astrologers are still Earth-centered, while the astronomers can see it, noy only both ways, buy also see how the two views triangulate and intersect..
And my dear astrologer-friends: that solar empowerment is still available. I figured it out and took that initiation and for me it has made all the difference. Finally, it is my experience after 40 years of observing that while the traditional geocentric astrology chart is a chart of our karma (the circumstances in which "we" each find ourselves here on Earth), the heliocentric natal chart (same planets, same moment in time, but from a different view) is a chart of our "Dharma," the overall life-path that motivates us, our particular key to our traditional geocentric natal chart. It is not too late to check it out for yourself and take that initiation. It is your move.